The two Antipodean stars were reportedly spotted flirting at a Soho House party in New York last month and sources claim they reconnected at the Beverly Hills Hotel over Oscars weekend. Anne Hathaway has ended months of speculation by signing on to play Fantine in director Tom Hooper’s movie adaptation of Les Miserables. The film’s star, Hugh Jackman, recently revealed he was trying to persuade Hathaway to take on the role of the prostitute in the retelling of Victor Hugo’s classic story, and it seems his efforts have paid off. The actress reportedly fought off competition from Amy Adams and Rebecca Hall to land the singing role. Hathaway will join Jackman, Russell Crowe and Helena Bonham Carter in Hooper’s ambitious new film. 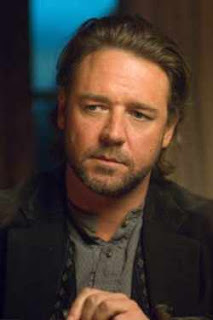 Russell Crowe has been in talks to play Inspector Javert in the project for months, and now sources tell trade paper Variety he has signed on for the role. The King’s Speech’s Tom Hooper will direct the film, which has a release date of 12 December, 2012. Although not known for his musical skills, Crowe did front rock band Thirty Odd Foot of Grunts. 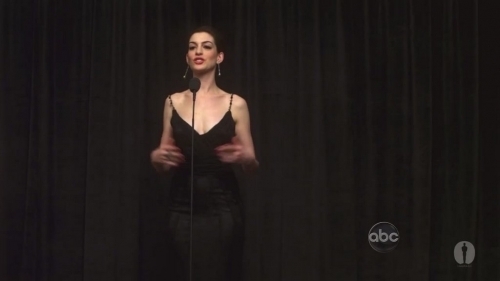 Reports suggest Jackman is trying to persuade Anne Hathaway to sign on to play prostitute Fantine in the movie musical. Actor Russell Crowe has taken up a gruelling training schedule in a desperate bid to finally shed the weight he gained for his role in Body Of Lies. Crowe packed on over 60 pounds (27.2 kilograms) to star in the 2008 spy film, but now the 47 year old is determined to get his body back into shape by embarking on a 105-day weight loss journey. The Gladiator star has embarked on a daily regime of cycling and running – and admits it’s a real struggle. Russell Crowe cuddles up with his wife to watch the Aussie version of Simon Cowell’s TV talent show THE X FACTOR – because the programme is their date night guilty pleasure. The movie star admits he’s obsessed with the show and would definitely have been a wannabe contestant 20 years ago. 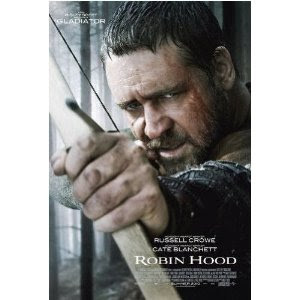 Oscar® winner Russell Crowe reunites withGladiator director Ridley Scott to reveal the untold story of a common archer’s rise to become a hero in Robin Hood, the $309 million worldwide blockbuster coming to Blu-ray™ Hi-Def Combo Pack, 2-Disc Special Edition DVD and single disc DVD on September 21 from Universal Studios Home Entertainment. Each version will feature the theatrical film, as well as a never-before-seen unrated director’s cut of the movie. The film and its unrated version will also be available day and date for digital download and video on demand. The Robin Hood Blu-ray™ Combo Pack will feature a Blu-ray and DVD copy of the theatrical and director’s cut film, as well as a digital copy of the director’s cut that can be viewed on an array of electronic and portable devices anytime, anywhere. Additionally, both the Blu-ray™ Combo Pack and the 2-Disc Special Edition will feature deleted scenes and filmmaker commentary, plus an extensive look at the making of Robin Hood that includes behind-the-scenes interviews with cast and crew. The Blu-ray™ release also exclusively features an interactive “Director’s Notebook,” which seamlessly takes fans inside the making of the specific scenes of the film, from production design to special effects. Sweeping pageantry and heart-pumping action transports viewers to the meticulously recreated medieval battlefields and byways of 13th century England for the inspiring story of a legendary hero. Robin Hood’s sterling cast also includes Academy Award® winners Cate Blanchett (The Aviator, Elizabeth: the Golden Age) and William Hurt (The Incredible Hulk, Kiss of the Spider Woman), as well as Mark Strong (Sherlock Holmes), Mark Addy (The Full Monty), Oscar Isaac (Body of Lies), Danny Huston (The Aviator), Kevin Durand (Legion), Scott Grimes(“Band of Brothers”), Matthew Macfadyen (Frost/Nixon), Eileen Atkins (Last Chance Harvey),Simon McBurney (Body of Lies) and Oscar® nominee Max von Sydow (Shutter Island). Get A Good Year (Widescreen Edition) on Amazon Now! A spokesperson for actor Russell Crowe has denied reports the GLADIATOR s tar is dead. New York City radio station Z100 reported the Robin Hood star had passe d away on Thursday morning (10Jun10), prompting a flurry of internet and radio reports speculating about the story. But a spokesperson for the 46-year-old actor has acted quickly to dismi ss the sick rumour. Crowe is the latest in a string of stars who have fallen victim to simi lar reports – the most recent being Zach Braff, Johnny Depp, Billy Cosby and Kanye West.